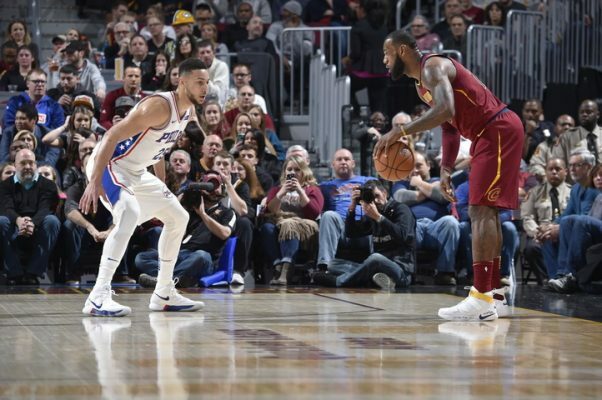 (Cleveland, OH) — A 14-2 run in the final 4:43 of the game that had the fingerprints of LeBron James all over it helped the Cleveland Cavaliers dodge a spirited upset bid by the Philadelphia 76ers in a 105-98 victory at Quicken Loans Arena on Saturday night. 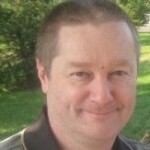 The last 22 points scored by the Cavs were either scored or assisted by James. The Cavaliers trailed 96-91 when James went to work by starting the rally with a three-point play. 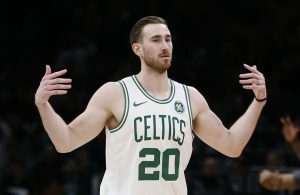 Over the remainder of the contest, he dished out four assists, including the clincher on Jae Crowder‘s 3-pointer with 40.9 seconds left, and also grabbed four rebounds. For the contest, James collected his third triple-double of the season by scoring 30 points, hauling down 13 boards and handing out 13 assists. A trio of players off the bench each contributed 13 points to the scoring effort: Dwyane Wade, Jeff Green and Kyle Korver, while Crowder ended his evening with 12 points. Collectively, the bench again played a key role by scoring a total of 48 points. The Sixers got the early momentum, scoring the first seven points and jumping out to a 13-3 lead. With the score 20-9 and 4:21 left in the opening period, the Cavaliers then finally woke up and went on a 29-6 run that extended into the second quarter and gave them a 38-26 lead. The Cavs’ surge was keyed by 10-of-14 (71 percent) shooting from the field over the course of the run. After the 76ers connected on 9-of-13 from the field to start the game, they cooled off for the rest of the first quarter, hitting on just 2-of-11 in that department. “This was a game we might ordinarily lose, but we fought through it,” Cavs head coach Tyronn Lue said during his postgame press conference. Philadelphia was able to put together an 18-7 run that sliced the 12-point Cleveland advantage to a single point at 45-44 with just over two minutes to go before intermission. 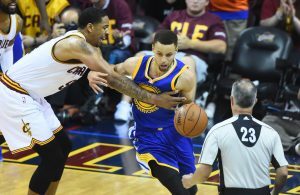 The Cavaliers then scored seven of the final nine points in the half to hold a 52-46 lead. After the break, both teams managed to shoot better than 50 percent from the field in the third quarter, but sloppy play also saw each squad commit six turnovers during the period. By the time the horn had sounded, the Cavaliers saw their lead dip by a point to five at 78-73. Both teams had key players sitting out the game. On the Cavs side, Kevin Love was out, while the Sixers’ Joel Embiid was held out on a medical restriction. Ante Zizic started in Love’s place, though he only saw four minutes of action on the night. The Cavaliers also avoided another injury to their lineup when Green was able to shake off a scary flip that caused him to hit his head on the court during the opening quarter. 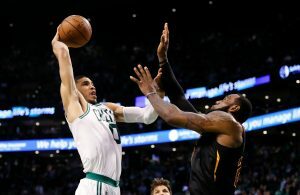 “I want to try and keep the second unit together as much as possible,” Lue said regarding the basis for starting the rarely-used Zizic. The Cavaliers return to action on Tuesday night for the second of their four consecutive home games. Their opponent will be the Atlanta Hawks, with tipoff set for just after 7 p.m. ET.